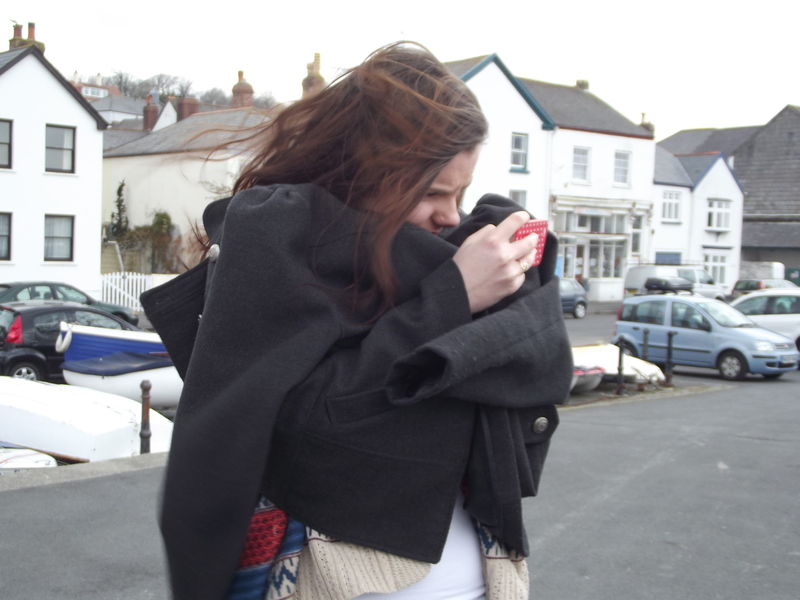 We decided we had to go to Westward Ho! as it is the only place in England which has an exclamation mark in its name. It was freezing, freezing cold and there was not really a lot to see, apart from a nice café where we warmed ourselves up with hot drinks. 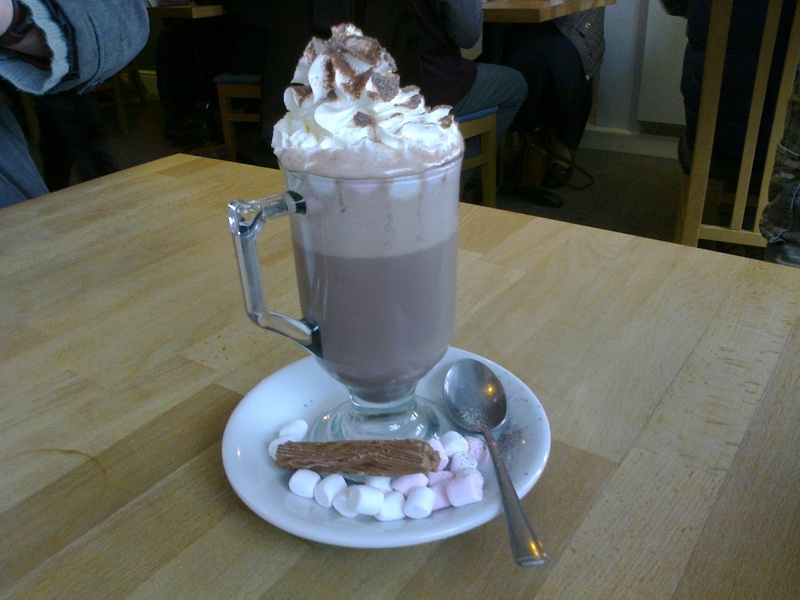 Hot chocolate… just the thing for a very chilly day! 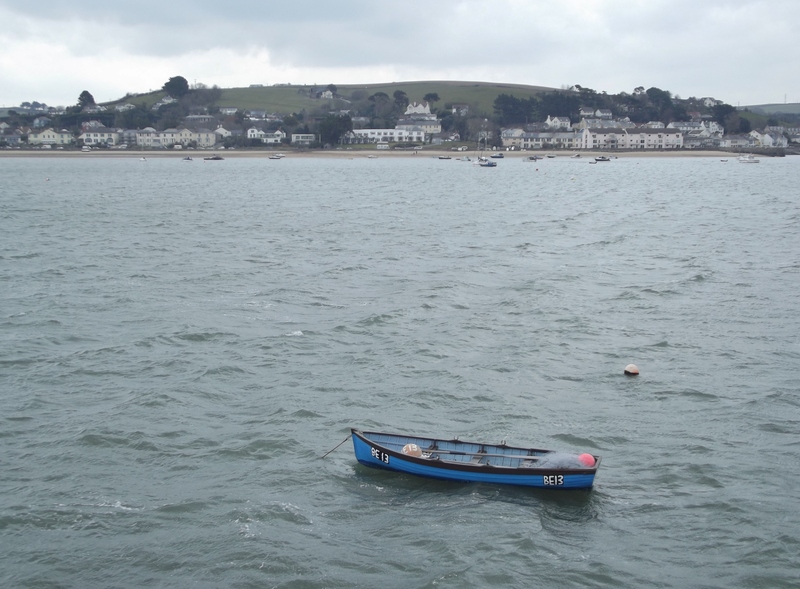 We decided to go to Appledore, I wanted to visit it because it just sounded so pretty, and indeed it was!It is across the River Torridge from the village of Instow. 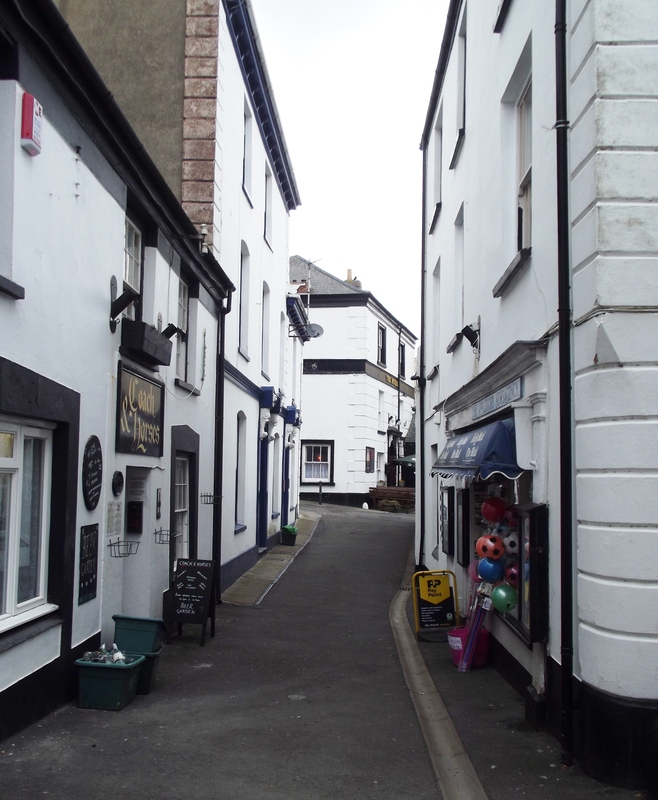 Appledore was a port, fishing village and shipbuilding centre froor centuries; ship building is still the main industry today. 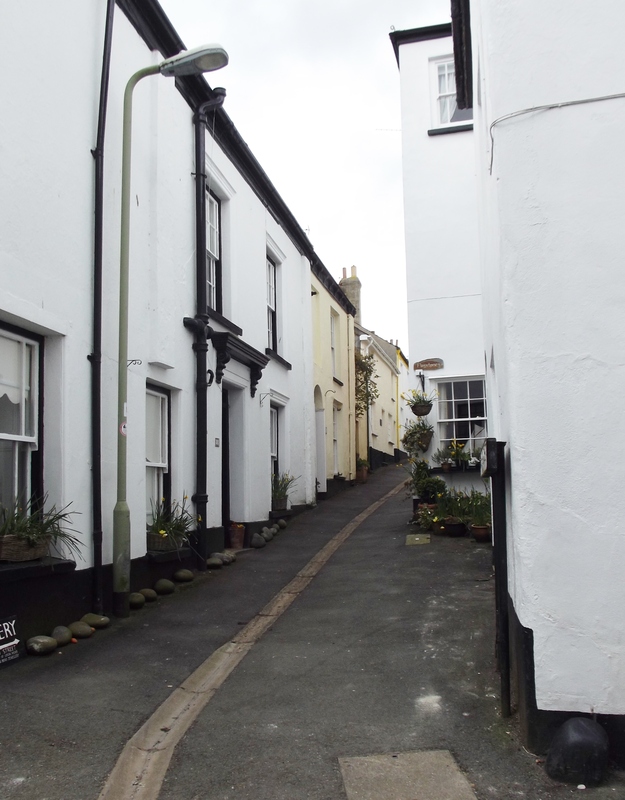 Appledore is a pretty little place which I look forward to returning to… maybe when it is a bit warmer! Back home for our last dinner together; the last night is traditionally ham joints and left-overs… and what a splendid meal it made. Then all of us down to the very excellent Exeter Arms for a last drink, then walking back to the holiday cottage under the clearest starriest Devon sky you could imagine. Packing and returning home tomorrow, and won’t it seem quiet without all the family!! Roll on next year!! There is a road in Grimsby called Westwood Ho but they missed off the exclamation mark. How sad! Very sad… do you think Father Christmas lives in Westward Ho Ho Ho! !